Double vinyl LP pressing. 2017 collection released to coincide with what would have been the Austrian pop star's 60th birthday. 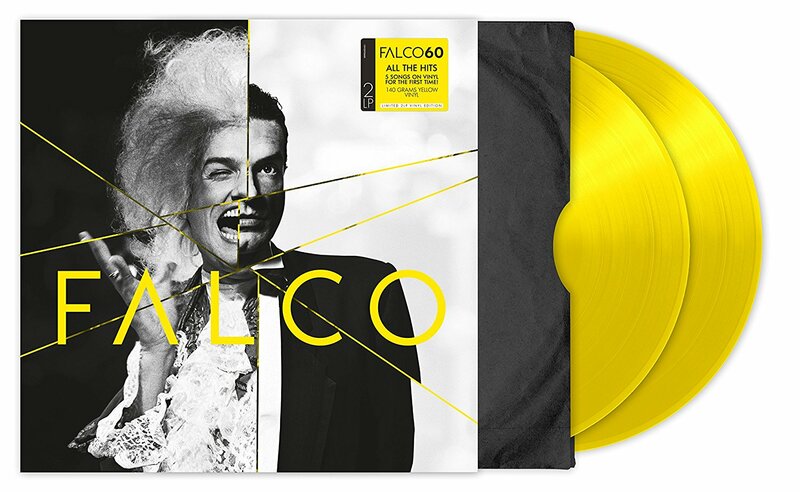 Falco had several international hits, "Rock Me Amadeus", "Der Kommissar", "Vienna Calling", "Jeanny", "The Sound of Musik", "Coming Home (Jeanny Part II, One Year Later)" and posthumously, "Out of the Dark". "Rock Me Amadeus" reached #1 on the Billboard charts in 1986, making him the only artist whose principal language was German to score a vocal #1 hit in the United States. According to his estate, he has sold 20 million albums and 40 million singles, which makes him the best-selling Austrian singer of all-time. Falco died just shy of his 41st birthday in a car accident.